Our award-winning golf instructors have the talent and experience to help you achieve your golf goals. Changes in technology and teaching methods have opened up a wide variety of new ways to approach golf instruction. Our teachers apply leading-edge training to the ancient game, with amazing results ! From a young age, Warren has been heavily involved in competitive golf. Originally from Cochrane, Alberta, Warren had the privilege to represent the province twice in Junior National competition. The highlight was in 1997 when he represented Alberta in a Match Play competition against the US. In 2003 Warren made the move to Victoria and attended the Golf Management program at Camosun College. Upon graduation, Warren obtained his PGA of Canada Pro Card and hung his hat at Glen Meadows GCC as an Assistant. In 2005 he obtained his Class "A" Professional status and discovered a new passion, teaching the game. The opportunity arose in 2012 to move to Highland Pacific and help grow a young, vibrant public facility. Here, Warren took on the role of Assistant Professional and helped build one of the best Mens Nights in town. In 2017, he was promoted to Head Professional where he's keen to continue the growth of Highland Pacific Golf and its friendly staff. Callum has worked in and around the game of golf for over 20 years. The majority of it here in Victoria. He began with fixing divots and ball marks for free golf which turned into a passion for the game. He started to play more competitive golf while going to school in Vancouver. This includes going to the High School Provincial Championship and a couple years on the Maple Leaf Junior Tour. While studying exercise and wellness at Camosun College, he played on the golf team for one season. 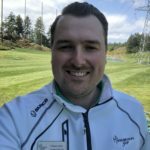 Callum started working at Highland Pacific Golf in 2011 in Outside Services and has moved on up to Assistant Professional in recent years. Upon turning professional, he became TPI Level One Certified and is now TPI Junior Level 2 Certified. He has had a growing passion for teaching the game and helping golfers build a swing that is unique for them! Scott has been a member of the PGA of Canada for 33 years. During this time Scott has built a solid teaching model based on the teaching practices of the world renowed instructor Butch Harmon. 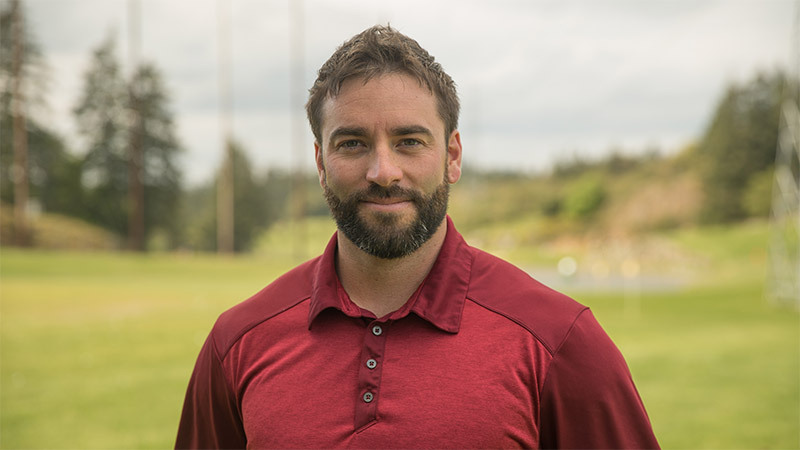 Using the basic fundamentals of the game as his foundation for better golf, Scott has a strong commitment to building better golf swings and making the game more rewarding and fun for his students. With reference to playing credentials, Scott has won two provincial championships plus other regional tournaments in the Pacific Northwest. Beside teaching and playing golf, Scott has a great passion for the history of the game, plus has made a large personal commitment to the profession of golf. In 1999 Scott was the recipient of the Provincial and National "Golf Professional of the Year Award"; in addition in 1997 he was nominated for the Provincial "Teacher of the Year Award". As per his service to his profession, Scott has served as President of the PGA of BC and President of the B.C. Golf Museum. Andrew comes to Highland Pacific with extensive teaching experience. He has taught at various facilities in Ontario , Victoria and Vancouver. He is happy to return to Victoria after a 9-year hiatus, where he taught golf to players of all levels in Vancouver. Andrew started playing golf at the age of 13 and fell in love with the game soon after that. He played in various junior events in Ontario and then quickly worked his way up to playing elite High School golf, 3 years of Varsity golf at York University, and then on to Professional tournament play. The basics of golf were ingrained in Andrew at an early age, using Jack Nicklaus’ book Golf My Way, and Ben Hogan’s five fundamentals as his golf bibles. 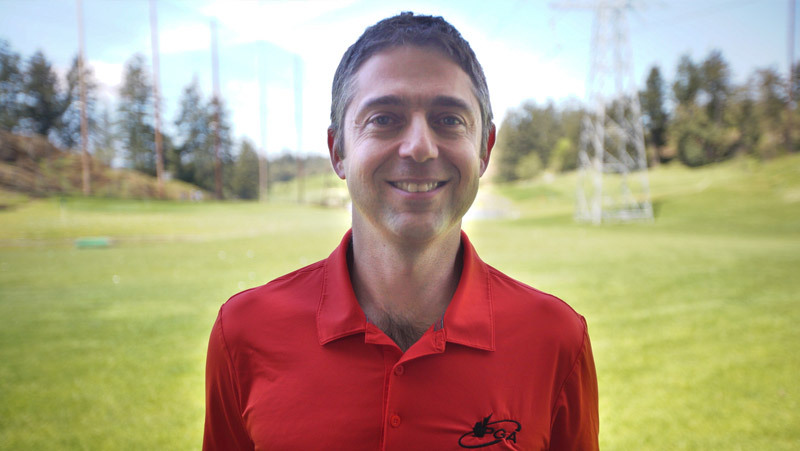 While his main teaching style is conventional, he has taught variations of Natural Golf as well as the Stack and Tilt method to round out his teaching repertoire. Andrew’s very comfortable with helping all players from beginner right up to the expert player. He will do his utmost to ensure every student gets a customized system of swinging and short game/putting that fits them best. 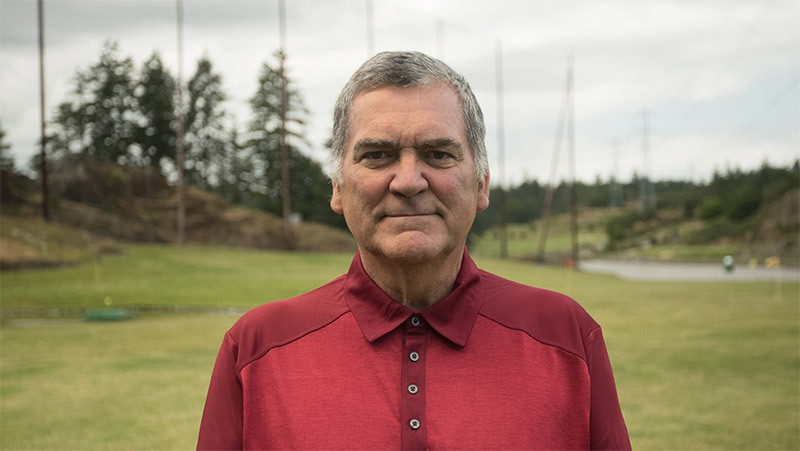 Don’t hesitate to ask any questions if you see Andrew on the range or in the pro shop, as he loves to talk golf whether it’s golf-swing related, equipment related, or golf in general.